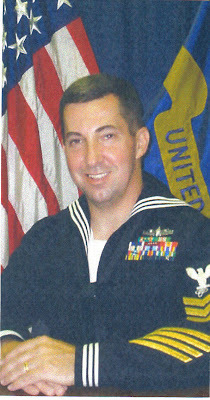 My husband is retiring from his 20 years of service in the navy in a couple of months. It is a great privilege for him and for us, his family that he serve the country for years. His Dad also served in the army and fought in WW2 (he is now 87 years old), and two of his uncles also served, one died in Germany and was buried there. The theme for this week's photo hunt is veterans/military. I took this photo when we first came here in Korea during the Independence day celebration last year. A big thank you to your husband for his years in the Navy and his father for his service during WWII. My son is just starting his service in the Coast Guard. He is just 19.
wow! 20 years?! impressive! I wish him easy transition from military to civilian life. Happy weekend! WOW tlgang asawa mo galing sa hero family, im sure you are really proud of him, I also admire this kind of people that serve our country..
What a great shot of your husband and perfect for the theme. Wow! Ang haba din ng 20 years.Parang super young pa sya ng pumasok sa serbisyo and young pa rin syang magre-retire. Goodluck sa hubby mo Ms. Rose, hopefully maging maayos ang transition nya. Great photo, and I appreciate your husband and his years of service! Great shots for the theme! And I wish you both enjoyment and success in your "new" life. Congrats to your hubs for all his years of serving his country-not many people can say that. Twenty years is just awesome! Your husband is a real hero. Major congratulations on his career! You should all go celebrate. I'll cheer along with you. Independence pala kau dumating jan sis? wow lahi pala nila john matatapang....ehhehee...there's a chance that little joops will join the military in the future....hhehehe! happy veterans day in advance! Wow, malapit na palang mag retire si John. At last makakapag settle down na rin kayo sa bahay nyo sa Virginia. Anong balak nyo pag retire ni John. Balak nyo bang mag negosyo? Hindi naman makaka support nang pamilya ang maliit na kinikita sa pagbablog. Hindi naman lahat nang blogger ay katulad ni John Chow na kumikita daw nang average of $20,000. a month. Sa kanya ako unang natutong mag blog. Sabagay maganda rin ang mga naging experiences nyo dahil sa trabaho ni John na nadestino kayo kung saan saang lugar. Thanks for the post. God bless you all always. You must really be proud of your husband. A good man deserve a big hug for his loyality and service together with his family. Have a wonderful sunday to you and your family. congrats for John's upcoming retirement!! Wow indeed men in uniform do look so snappy and with dignity! Congratulations in advance. Happy Sunday to you mommy Liz and the whole family as well take care and God bless!! Good luck with his transition to civilian life! 20 years serving in the Navy is a long time. Wishing him many happy days of retirement. its so great... to have lived a full life! here's hoping the best for your hubby! WEll done to your husband! And to you! Congrats to john. My husband had been in the military and was 4 yrs away from his retirement but didnt make it because of some personal problem. Congrats on the upcoming retirement. Nasa lahi pala nila Joops ang pagiging bayani, sis. It wouldn't be surprising if EJ will decide to be a soldier someday. More family getaway when your hubby retire bakla.